4-H’ers gear up for annual county fair this week – Welcome to Wyandotte Daily! Wyandotte County 4-H members started their county fair activities last Friday with a check-in for rabbit projects. The rabbit show was Saturday, and 4-H photography judging was Sunday. 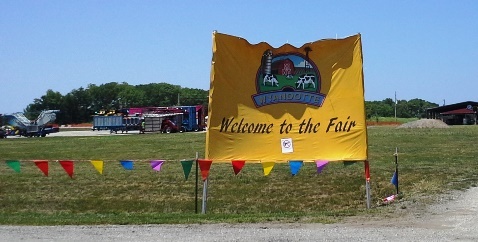 The Wyandotte County Fair will be in full swing Tuesday through Saturday, July 10 to 14, with some 4-H activities also planned Monday. The 4-H clothing revue will be held from 1 to 4 p.m. Monday, July 9, at the 4-H Exhibit Hall (Red Barn) at the fairgrounds. Participation in 4-H projects at the fair looks good this year, according to officials. 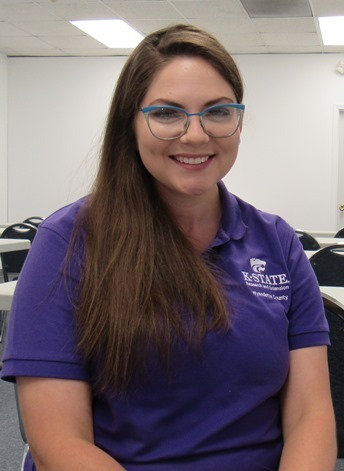 “Our project numbers are up, our livestock barns are chock full,” said Nicole Crosson, Wyandotte County 4-H agent. There will be a full horse barn again this year at the fair, she said. Popular projects this year include photography, foods and nutrition, shooting sports, poultry and rabbit projects, she said. Horses have had a robust interest the past few years, she added. Most of the horse entries come from residents who are east of 86th Street in Wyandotte County, she said. “I know we have this conception that we are an urban county, but while we are urban, we have this unique mix of rural and urban throughout the community,” Crosson said. There are pockets of agricultural areas in Turner, north of Leavenworth Road and on the west side of the county, she said. “We should be the main resource for agricultural families here in the community,” Crosson said about the role 4-H and the Extension office is playing. 4-H offers programs for urban and suburban members, also, including in-school and after-school programs. She hopes the youth learn that while there may be a lot of hard work in life, the end result is worth it, she said. “I hope that we can foster a love of education and a love of learning, and not just our own,” she said. A lot of what is done in 4-H is done by working together in a collaborative effort, she added. She said she believes the 4-H program has been in a rebuilding period since after the former Wyandotte County Fairgrounds was sold, until a few years ago. Serving as the 4-H agent here has been a unique opportunity to work with a passionate group of families, with positive youth development, she said. It has also been an opportunity to work under the agents before her, and continue their work, she said. Now 4-H is serving a bigger community and population, she added. Other agents in the Wyandotte County Extension office also are helping with the special interest programming for youth. The special interest clubs will be rebranded in the future, perhaps as Discovery clubs, she added. This year there are 125 community club 4-H members, and 4-H reaches a total of around 9,000 youth in Wyandotte County through expanded 4-H opportunities including after-school, in-school and STEM clubs, Crosson said. She said numbers in the expanded programs are expected to increase this year, through the Turner Recreation Commission’s after-school programs, and through the Bonner Springs-Edwardsville area programs. 4-H also works with the Kansas City, Kansas, Public Schools’ KidZone program. A pre-entry system is new this year in the 4-H Division at the Wyandotte County Fair, Crosson said. The pre-entry system is a bridge to a digital pre-entry system that they hope to launch this fall, going completely digital next year, she said. The 4-H County Fair entries next year will use QR codes and scanners for entries, she said. Results can be posted live to websites, just like Kansas State Fair results currently, she added. “As soon as those ribbon boxes, judges’ results and slips are returned to the 4-H office after a showcase event during the fair, either Extension staff or volunteers will be putting in that information to the Excel sheet, we’ll PDF it, we’ll format it to go on our county website and we’ll format it to go on our Facebook site as well,” she said. Crosson has a background in marketing, graphic design and event promotions, and majored in agricultural journalism. She was in shooting sports and the horse project for about nine years in Wyandotte County, including in the Chaparral, Wyandotte Wranglers and Nearman clubs. She has set some goals for the fair and the 4-H program. She said she wants the county fair to be a more interactive, educational experience with people, where 4-H becomes a bridge to become the main resource for the county for agriculture, agri-science, nutrition, healthy living and healthy habits. 4-H shows and programs at the fair are scheduled throughout the day on Monday, July 9, through Saturday, July 14, with most programs at the Red Barn at the fairgrounds. A schedule of 4-H events is located at http://www.wyandotte.k-state.edu/4-h/4-hfair/4hfair.html. The Wyandotte County Fairgrounds is at 13700 Polfer Road, which is east of K-7 on Polfer Road, in Kansas City, Kansas. Hours of public admission to the fair are 5 p.m. to 10 p.m. Tuesday through Friday, and noon to 10 p.m. Saturday. Admission is $5 per car. There will be free parking from noon to 5 p.m. Saturday. More details on the Wyandotte County 4-H program are available on Facebook at https://www.facebook.com/WyCo4H/ and at http://www.wyandotte.k-state.edu/. The Wyandotte County Extension office may be reached at 913-299-9300. To see an earlier story on the fair, visit http://wyandottedaily.com/plans-underway-for-annual-county-fair-next-week/. Preparations were underway on Sunday for the annual Wyandotte County Fair, which runs from Tuesday through Saturday at the Wyandotte County Fairgrounds, 13700 Polfer Road. The fairgrounds is east of K-7 on Polfer Road.